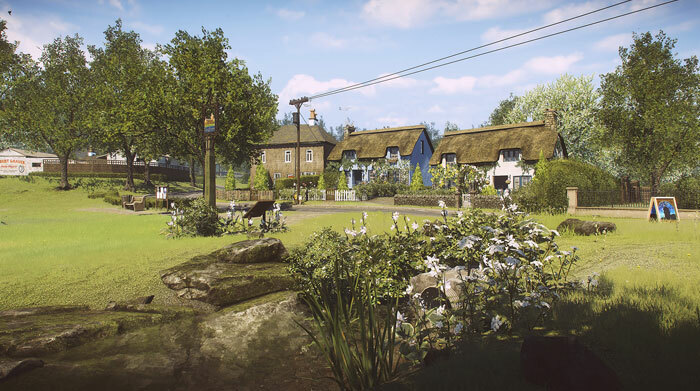 Everybody's Gone to the Rapture won two BAFTAs for the different but related aspects of 'Audio achievement' and 'Music', though it also boasts enchanting open-world post-apocalypse Shropshire imagery, and has won high praise in reviews in its PS4 outing for the rich, investigative, non-linear gameplay on offer. Incidentally one of the actors in the game, Merle Dandridge, won a BAFTA for her performance as 'Kate Collins'. 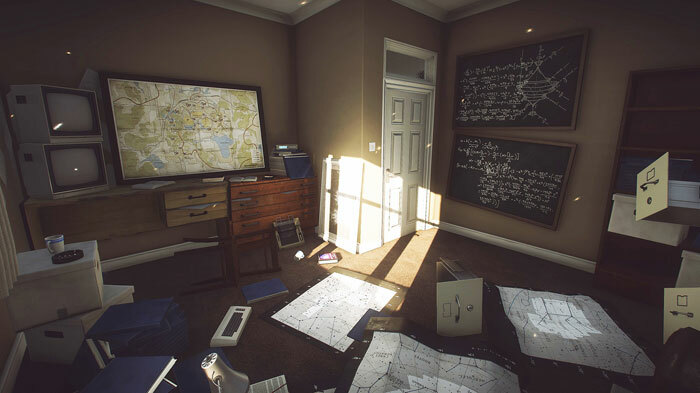 The story of Everybody's Gone to the Rapture begins at 06:37am on 6th June 1984, in Yaughton, Shropshire, England. Unfortunately you awake discover that "The world ended 37 minutes ago." The whole village is empty and eerily quiet with toys laying forgotten in the school playground, empty abandoned streets, and birds lying where they have fallen. You will notice TVs and radios can pick up strange voices and your explorations will slowly uncover traces of the lost community, thereby piecing together the mystery of the apocalypse. Everybody's Gone to the Rapture can now be pre-purchased by PC/Steam users for £15.99. The game will unlock tomorrow at 7pm UK time. It is a single player title which requires a minimum of 64-bit Windows 7 or newer, 4GB of RAM, an Intel Core i5-4570T 2.9 GHz / AMD FX-6100 3.3 GHz, an Nvidia GeForce GTX 560 Ti / AMD Radeon HD 6850, and 8GB of disk space. Might take a look once I've finished Quantum Break! I really enjoyed it on PS4, so much so that I may also buy it on PC. Found it hard to get into this game because of the slow movement speed, even for a ‘walking simulator’. Beautiful game on PS4 though so it should look magnificent on PC.